Umbrella Security Services hold Approved Contractor Status (ACS) for the provision of Door Supervision, Security Guarding & Key Holding. We are independently audited on an annual basis ensuring we meet the highest industry and regulatory standards. 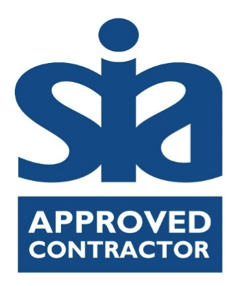 SIA: ‘The objective of the SIA’s Approved Contractor scheme is to raise performance standards and to assist the private security industry in developing new opportunities. The scheme is voluntary and was developed in consultation with representatives from across the industry; it only covers those parts of the industry that are regulated by the SIA and the Private Security Industry Act 2001 (as amended). There is a single scheme, with sector-specific approval based on a relevant set of qualifying criteria’. 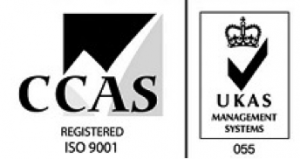 Umbrella Security Services holds ISO 9001 accreditation. CCAS: ‘The ISO 9001 series of standards form the foundation and framework for an effective management system within any type of business. The standards were developed and published by the International Organisation for Standardisation or ISO and have over 110 member countries. Increased global competition has led to higher customer expectations with regard to quality. To be competitive, businesses need to employ increasingly effective and efficient systems’. 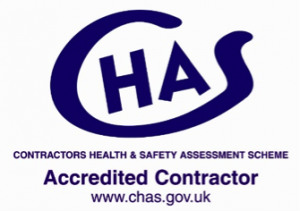 Umbrella Security Services holds The Contractors Health and Safety Assessment Scheme (CHAS) accreditation. CHAS: ‘CHAS is a visible and credible leader in Health and Safety management. As an organisation, we help businesses and organisations manage their Health and Safety risks and safeguard their reputation. We offer cost-effective, easy to use compliance services, setting industry benchmarks and providing reassuring, accurate and efficient support to all our clients. Our people are professionals who put our clients first, helping them to work safer and playing a part in their success. Together we improve businesses, create business opportunities, drive industry standards and make the world of work safer’. For a top quality, professional security company serving the Birmingham, Manchester, Nottingham and London areas, contact the Umbrella Security Services team today. Our online contact form is simple and quick to complete, or you can call us on 0121 554 2761.